Sorry it has been so long in posting, I am finishing off a couple of units right now and i’m not ready to post pics up yet. I did however, have something to post up that I finished the other day. 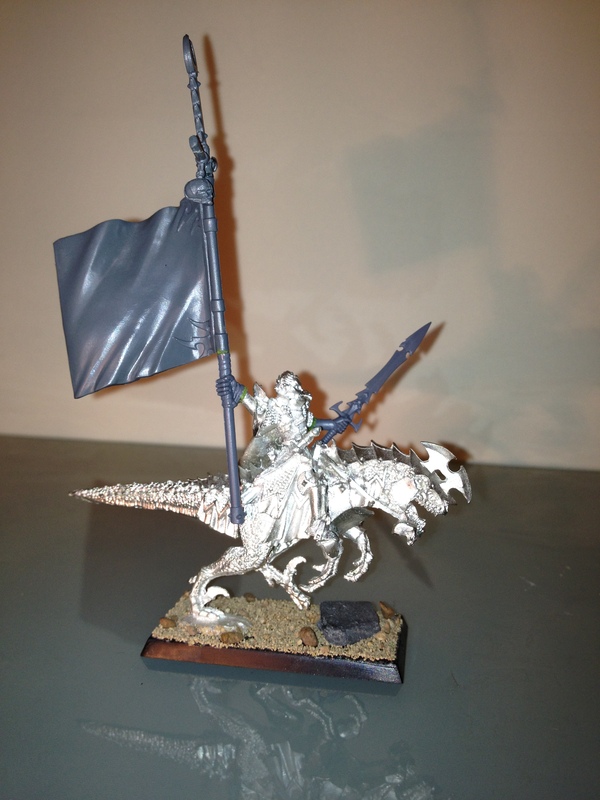 This is my Battle Standard Bearer for my army, he’ll lead the cold ones with the hydra banner. This was converted from the new metal dread lord mounted on cold one. 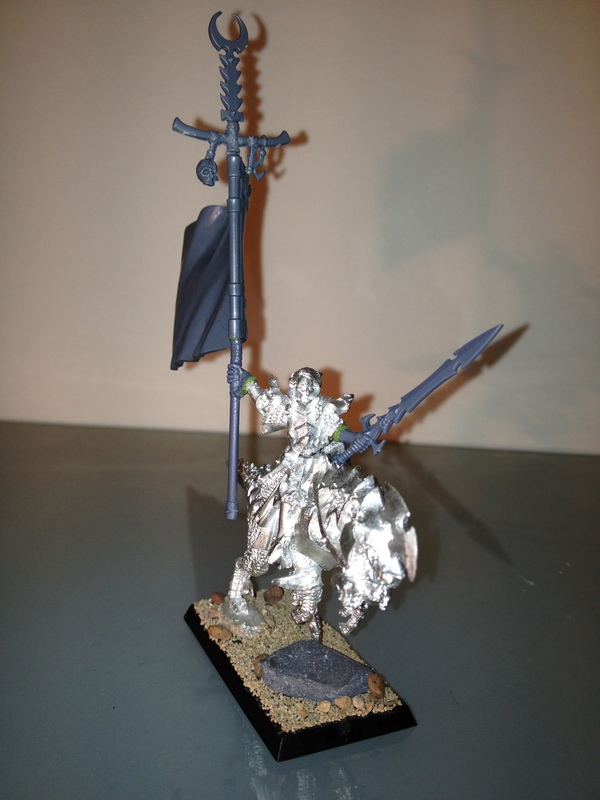 I used the sword from the new black dragon kit and I made the banner from a shaft of the standard spearman banner pole and the banner from the corsair box pinned to the shaft. Hope you like him, this guy has been on my work station for a while so glad to get him built. As always feel free to comment below…. ~ by Evazorek on February 7, 2012.